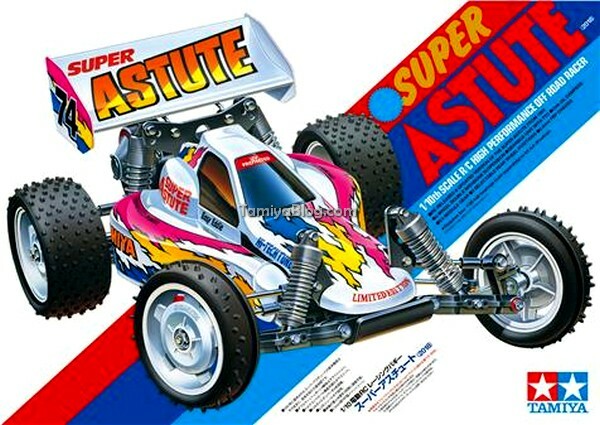 Having been confirmed by Tony's Tamiya Parts, Mokei Kagaku, and of course Tamiya itself, I wonder what the re-release of the Super Astute will bring - whether most will end up in the collections of racers who used to compete with the original, or if they will mostly be used to keep racing rigs running, and/or if they will continue to bring interest in re-release racing as their own kits built up. My own experience with anything remotely-Super Astute related was a hybrid Astute built up with a number of Super Astute pieces, most notably the TTC geartrain that I added later. I remember it being one fantastic car with a low-turn brushed motor, but I ended up selling it as I had no real place or occasion to run such a race-oriented platform. I would hope that a good number of them get to hit the dirt/astroturf/gravel/clay/etc..
You beat me to it. As i have just seen it on tamiyablog and the Avante black is coming back . Woohoo , looks like a great year for rc . As i have just seen it on tamiyablog and the Avante black is coming back . Interesting too see what the pricing will be on both ?. I am definitely interested in the super astute since i had an astute as a kid. My question is besides the refined gearbox in the the super astute does the super astute have a weakness in the bulkhead ? My astute broke numerous times. Do you have all the bushings in the suspension like the astute also? I never had an issue with the gearbox in mine and even ran a twister hurricane from the start. SHUT UP!!!!!!! The Avante Black is awesome. Having had one and now owning an Egress an Avante 2011 is in my future, but the Super Astute I'll need ASAP, I'll purchase MCI decals of the Astute as I like the red better. 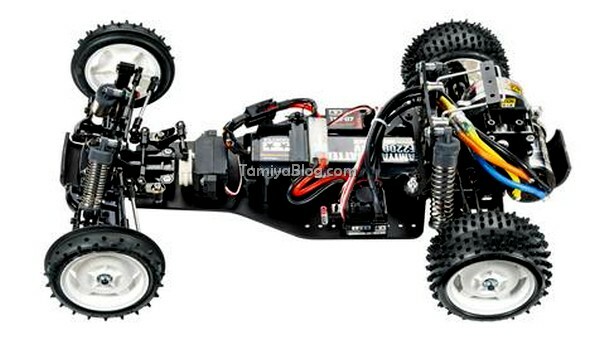 Hopefully Tamiya will make the chassis Graphite like they did with the Avante . wow!! is it confirmed? what is the date of re-release? Wish list time. Let's get an original based gear box that we can swap parts into out runner King Cabs and Astures featuring a trf201 based ball differential and slipper clutch. Graphite chassis!!! I’m interested in ttc gearbox for kingcab/monster racer that I haven’t built yet! Wonder if they’ll be rere’d soon, now that would be an awesome announcement! How much would you expect the Super Astute rere to cost? Would it be similar to the Top Force or is it more likely to be in the Egress/Avante range? Haven't posted in a while but the news of a re-re black avante and the astute has got me excited for this hobby again. Now just need to find a way to pay for them. Seems like a strange choice for a re-re ? Most of the parts in the original version were unique to the S/A. .....I even have a set of Astute wheels to use! Can't wait for this! Always wanted an Astute.. But like @Jonathon Gillham I wonder where it'll be priced? Can't surely be up in the Avante / Egress bracket? More like Top Force prices, maybe? So closer to ~£200? I'm betting between Monster Beetle and Top Force prices. Oh man, this opens the door for a HUGE family of cars. Come on Monster Racer/King Cab! I would guess a bit less than Top Force? It looks like a similar kit, ie pretty competitive in its day, but 2wd are always cheaper. Modern 2wd race kits are about 3/4 of the price of their 4wd counterparts, I doubt it would be that much cheaper but should be a bit? I wonder if they skipped over the Astute because of the weak(ish) ball diff (or didn't wish to re-design it into something better)? Either way, the Super Astute is great news. Wonder if Hi-Caps will be released again for it (like the TF ones last year). Was the TTC standard on the Super Astute, or an extra? It'll probably cost more than a top force. It won't have any modifications done to remedy known weak parts. I'll still happily buy a couple.